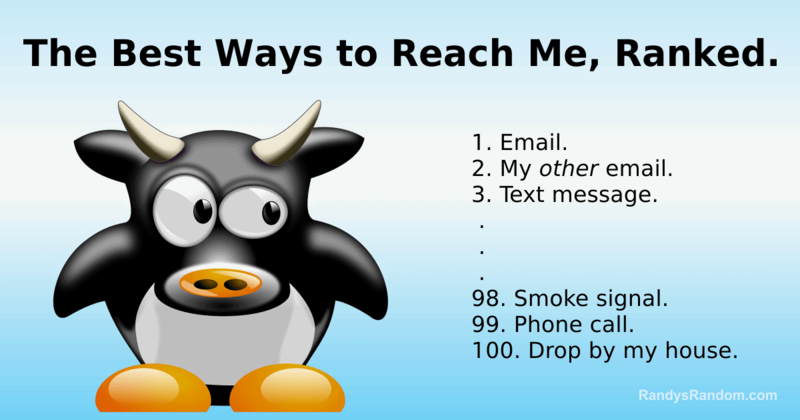 The Best Ways to Reach Me, Ranked. 100. Drop by my house. Note: If you call by phone, don’t leave a voicemail since it’s unlikely I’ll ever call you back: after all, I didn’t answer, did I? Start over with #1. Oh, and if you drop by my house, you best be armed.